Ascension and recently merged CVS Health-Aetna are getting into the blockchain game, joining five other healthcare giants in a pilot of the technology. Along with the other members of the Synaptic Health Alliance—Humana, Multiplan, UnitedHealth Group's Optum, UnitedHealthcare and Quest Diagnostics—they will try to figure out how to use blockchain to improve data quality and lower administrative costs. Specifically, they intend to use blockchain, a distributed ledger of cryptographically linked transactions, to make provider directory data more accurate. The problem is multifaceted, according to Synaptic. Right now, insurers usually maintain their own directories of providers—a costly endeavor with insurers, providers and others spending about $2.1 billion annually to keep information up to date, the group said. If directories aren't maintained, claims can be delayed and insurers can face fines from the CMS. Providers can be hurt too, as they might be incorrectly listed as out of network for certain plans. That affects patients, who must resort to relying on potentially inaccurate information. Errors are not uncommon. More than half of provider directory locations listed in 64 Medicare Advantage organizations' online directories had errors, according to data the CMS reviewed from September 2016 through August 2017. If healthcare organizations shared provider demographic information via blockchain, they could help solve the problem—and save money too, according to Synaptic. The alliance believes blockchain is particularly well-suited to the problem because it is secure and changes to the data move to all copies in near real time—a characteristic that could cut operational costs, according to Lidia Fonseca, chief information officer of Quest Diagnostics. Blockchain could also ease the burden on providers, said Gerry Lewis, Ascension's chief information officer, who said the provider was drawn to the alliance because of both the scale of the companies involved and the multidisciplinary approach they make possible. "We believe this alliance has the market presence and velocity to actually change how we exchange data to provide healthcare," Lewis said. "Providers, payers and consumers—you need to have all three engaged to look at this." 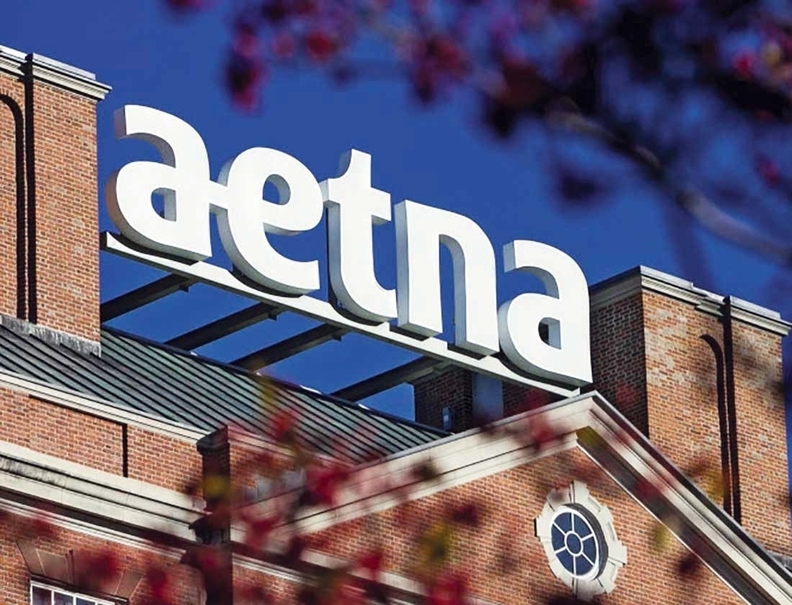 Aetna has an estimated 22 million members, and Ascension is the largest not-for-profit health system in the U.S.
Down the road, Lewis hopes the alliance will look into how blockchain could be applied to securely sharing clinical information. But for now, he said, "we're at step one of probably a 300-step journey."